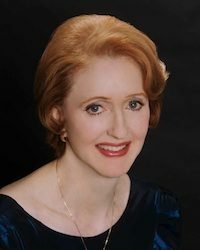 Katherine Collier has had a distinguished and versatile career as a soloist, chamber music artist, and accompanist. After her early training in Texas, she studied piano with Cecile Genhart and accompanying with Brooks Smith. She was awarded unanimously the Performer’s Certificate at Eastman. Professor Collier was the first prize winner of the National Young Artist’s Competition and the Cliburn Scholarship Competition and was the recipient of a Rockefeller Award. She won a Kemper Educational Grant to study at the Royal College of Music in London, England. Collier has been a soloist with orchestras in Cincinnati, Dallas, Eastman-Rochester, and Houston, and is an active collaborator with many renowned musicians including Joshua Bell, Hilary Hahn, Ani Kavafian, Cho-Liang Lin, Andres Cardenes, Erling Bengtsson, David Shifrin, and members of the Tokyo, Emerson, Cleveland, Orion, Vermeer, Miami, Shanghai, and Ying Quartets. She has performed around the world and appeared at recital halls in Europe such as Wigmore Hall and the Purcell Room (Southbank) in London, the Concertgebouw, the Brahms-Saal, and the Konzertsaal der Staatlichen Hochschule für Musik. She has presented concerts at Merkin Hall, the Phillips Collection, the Cleveland Museum of Art, the Dame Myra Hess Series in Chicago, and the Y Music Society in Pittsburgh. She performs at the Aspen Music Festival, Interlochen, Meadowmount, and Skaneateles. As an accompanist, Ms. Collier worked in the studios of Dorothy Delay at Aspen and Nathan Milstein and the BBC in London. Collier tours extensively with her husband, violist Yizhak Schotten. They are founders and music directors of the Maui Classical Music Festival in Hawaii and music directors of the Strings in the Mountains Festival in Steamboat Springs. Ms. Collier appears with her husband on four compact discs on Crystal Records and has recorded with other artists on the Pandora, Pearl, Crystal, and Centaur labels. Ms. Collier previously taught at the universities of Washington, Northern Kentucky, and Wyoming.